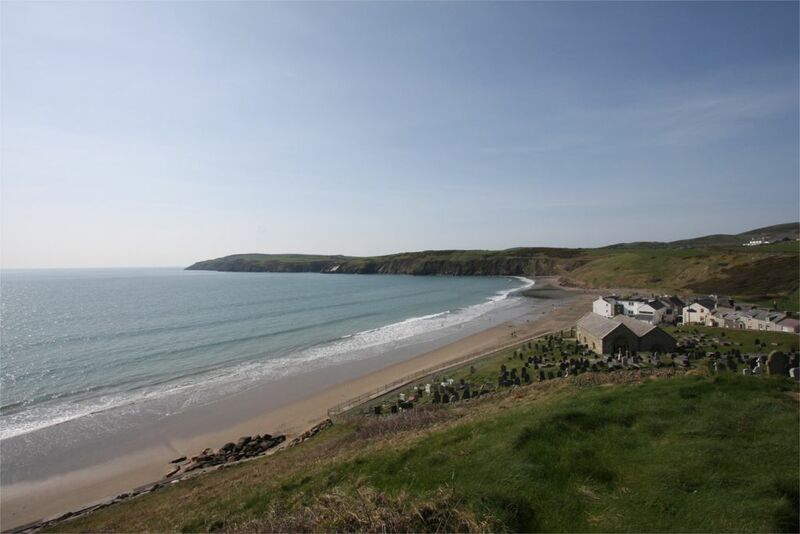 Aberdaron has been selected by Arloesi Gwynedd Wledig to pilot how to bring public access Wi-Fi to remote and rural communities. Access to the internet is crucial in ensuring the modern tourist can make the most of their stay in an area and let their friends and family know about the great time they’re having! In big city centres visitors now enjoy free Wi-Fi, usually provided by one of the large telecom companies, but in rural areas this isn’t the case, and to make things worse, these areas – like Aberdaron - often suffer from mobile poor or non-existent 3G/4G mobile coverage. So can rural communities do things their own way and find creative and innovative ways to keep up? This is what Arloesi Gwynedd Wledig is finding out! Arloesi Gwynedd Wledig has funded the installation of a public access Wi-Fi network across the village of Aberdaron to learn how every community in rural Gwynedd could run their own Wi-Fi network. Taking advantage of the superfast broadband provided to the village by the Welsh Government’s Superfast Wales Programme; Arloesi Gwynedd Wledig, working with local businesses and the National Trust - all members of Aberdaron & District Tourist Link - have installed transmitters on their buildings bringing Wi-Fi free to everyone visiting the village and the adjacent beach. Aberdaron was selected for the pilot due to its unique geography coupled with a high number of visitors. This will provide a stern test of the digital infrastructure and prove whether there is a demand for this type of provision. Rachel Roberts from Arloesi Gwynedd Wledig explained “We will be monitoring the service over the next 12 months and asking for feedback from the users. This will be information we will provide to every other community in Gwynedd who wish to follow in Aberdaron’s footsteps”. At the end of the 12 month pilot a toolkit will be created which will include information on how the service was set up along with all the lessons learnt. This will be publicly available via the Arloesi Gwynedd Wledig website. Arloesi Gwynedd Wledig deliver the LEADER project in Gwynedd and is funded through the Welsh Government Rural Communities - Rural Development Programme 2014-2020, which is funded by the European Agricultural Fund for Rural Development and the Welsh Government. For more information about the project visit the Arloesi Gwynedd Wledig website www.arloesigwyneddwledig.com or our Facebook page.